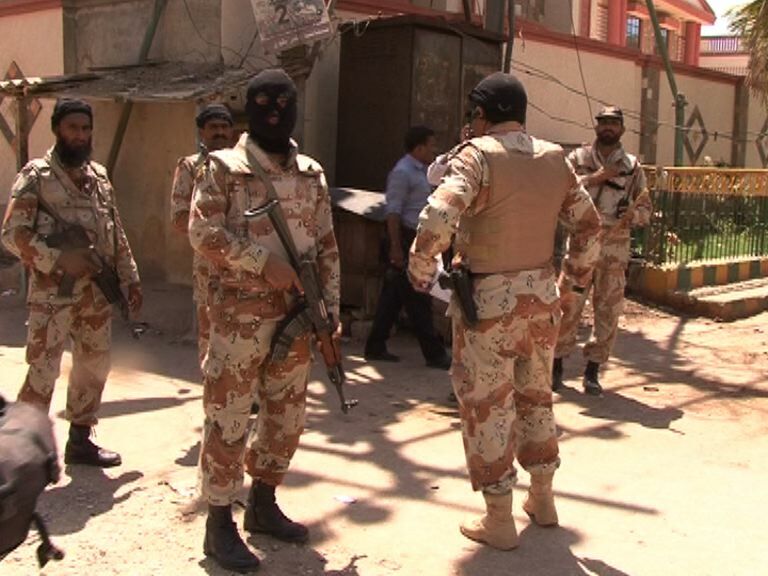 Islamabad, Apr 15 (Xinhua) Police in Pakistan’s southern port city of Karachi have arrested five militants affiliated with proscribed organization Islamic State (IS) during a search operation, local reports said Monday. The raid came two days after IS claimed a deadly suicide attack in the country’s southwestern Balochistan province. Targeting a minority Shiite ethnic group, the explosion left over 20 people killed and scores of others injured. A senior security official from Balochistan earlier told Xinhua that the IS recently announced its “revenge for defeat in Syria,” and authorities got a tip-off that Pakistan might be an easy target for the local militants returning back to their countries of origin from Syria after the defeat. Security was beefed up across the country following Friday’s IS attack, and Monday’s raid is being taken as a timely act by the law enforcement agencies to foil the possible IS attacks in the future. Lawyer Indrajana said that since the crash, families in Indonesia have faced a complicated and painful process against Boeing and Lion Air in their battle to get compensation. Family members and lawyers said on Monday that CEO Dennis Muilenburg’s comment last week related to an automated flight system was an admission that helps their cases. At a news conference organised by Jakarta law firm Kailimang & Ponto, families of 11 Lion Air victims said they are joining dozens of other Indonesian families in filing lawsuits against Boeing. Agustin, a mother of three, said that she and dozens of other families have not received 1.2 billion rupiah ($85,000) compensation they are entitled to in Indonesia because they refused to sign a “release and discharge” document that extinguishes their right to sue Lion Air, Boeing or their subsidiaries. Media visited to the site of the air raids a day later found evidence of the attacks having hit a forested hillside and causing light damage to a farmer’s home. While a JeM school was found near the site, there was no evidence of mass casualties, as India had claimed. “All aircraft were present and accounted for,” Foreign Policy quoted an unnamed US official as saying following those inspections. A second unnamed US official corroboratedthe claim to the magazine. Riyadh, Apr 2 : The four children of journalist Jamal Khashoggi, the US-based Saudi Arabian dissident and contributing columnist for The Washington Post, receive each month at least $10,000 apiece from Saudi authorities in the wake of their father’s murder in the Saudi consulate in Istanbul last year, and have also been given estates in the kingdom worth millions more,officials said on Tuesday. According to Saudi officials, Khashoggi’s children ? two sons and two daughters ? were presented with houses in the Saudi port city of Jeddah, worth around $4 million each, adding that the estates were likely to be later put on sale. Moreover, the officials believe that each of Khashoggi’s children may additionally receive tens of millions of dollars as compensation after the trial on their father’s suspected murderers. 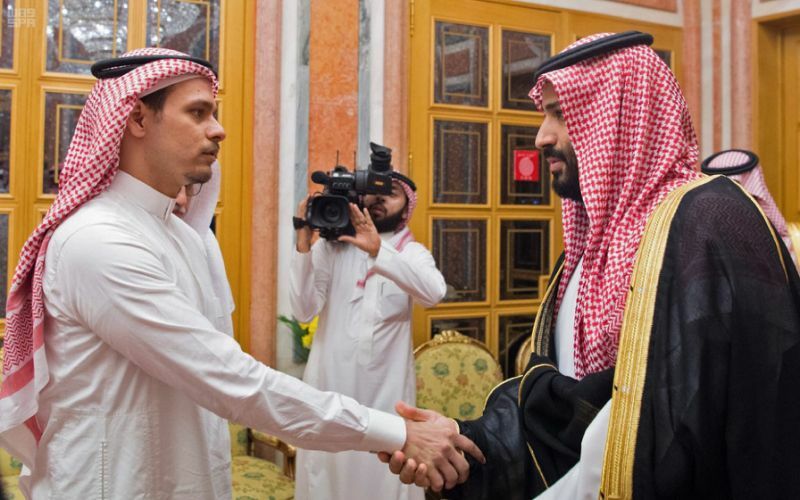 Some of the officials said that the payments were partially aimed at making sure that the journalist’s family would continue to avoid making harsh comments against Saudi Arabia following the tragedy. Another official, however, refuted the idea, saying that it was a common practice in the kingdom to financially help the families of victims of violent crimes. Khashoggi, who was a well-known critic of Saudi policies, went missing last October after he entered the Saudi consulate in Turkey’s Istanbul. Wellington, Apr 2 (Xinhua) A new gun law following the Christchurch shootings on March 15 has passed its first reading in New Zealand’s parliament on Tuesday. New Zealand’s Prime Minister Jacinda Ardern announced the morning after the shootings that gun laws must change. New Zealand’s Police Minister Stuart Nash said the attacks in Christchurch exposed the considerable weaknesses in New Zealand’s current firearms law. The most critical weakness in the firearms law is that too many people have legal access to too many semi-automatic firearms capable of causing significant harm, he said. “We are driven by one objective. We are driven by the need to ensure public safety is as strong as it can be. We are also driven by the memory of fifty men, women and children who were taken from their loved ones on March 15. Their memory is our responsibility. We don’t ever want to see an attack like this in our country again. We are compelled to act quickly,” said Nash. New Zealand’s current firearms legislation came into force 35 years ago. It dates from the 1980s, a time when the country was more isolated from the rest of the world, he said. There were strong import controls and no internet market place or social media. “Since this time, firearms technology has shifted, the weapons market has become global and there are a significant online community and trading environment. To bring the firearms legislation more up-to-date and substantially reduce loopholes and risk, major change is needed. This Bill takes the first steps to modernize the Act,” said Nash. 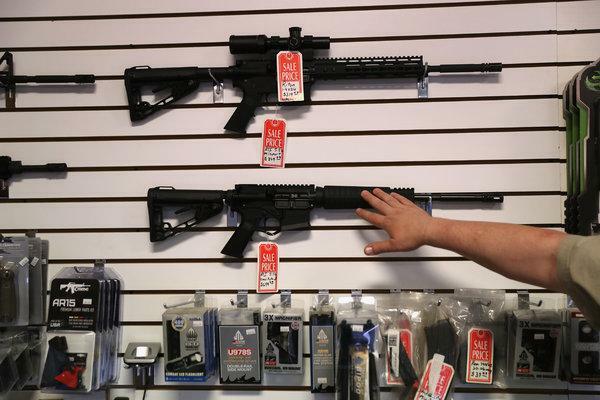 The new gun law seeks to essentially ban all semi-automatic weapons. However, it is important to reiterate that the legislation is not directed at law-abiding firearms owners who have legitimate uses for their guns. “Our actions are instead directed at making sure March 15 never happens again. Semi-automatic firearms which are commonly used for hunting, pest control, stock management on farms, and duck shooting will not be affected,” said Nash. Meanwhile, the government will implement a buyback scheme for the newly banned firearms which are surrendered. 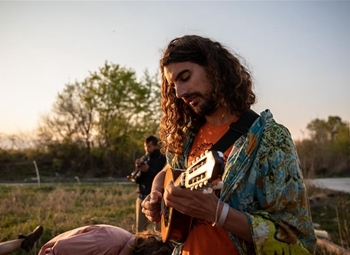 “We recognize it is a substantial amount of money but we are committed to doing this. We will find the money to do this because it’s about making New Zealanders safe. We will remove these guns from our communities,” said Nash. 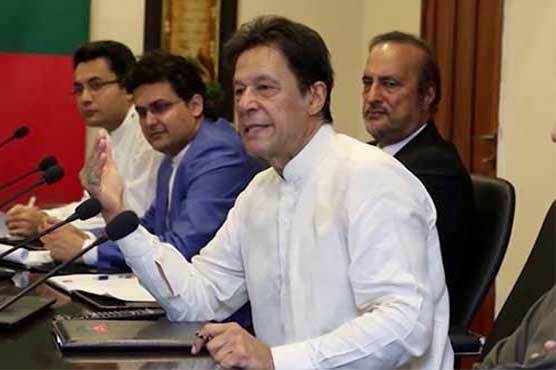 Islamabad, Apr 2 : Pakistan Prime Minister Imran Khan has finally written a letter to opposition leader and president of the Pakistan Muslim League PML-(N) Shahbaz Sharif on the appointment of two members of the Election Commission of Pakistan (ECP), asking him to suggest names in writing. ?Written consultation is surely preferred,? writes Mr Khan in the letter. ?I again stress your good self to participate in the consultative process by giving your views in writing. In case you do not participate in the consultative process, the people of Pakistan and myself shall have no other option but to presume that you are evading the legal process, in which event further rights shall be reserved,? writes Mr Khan, without further elaboration. 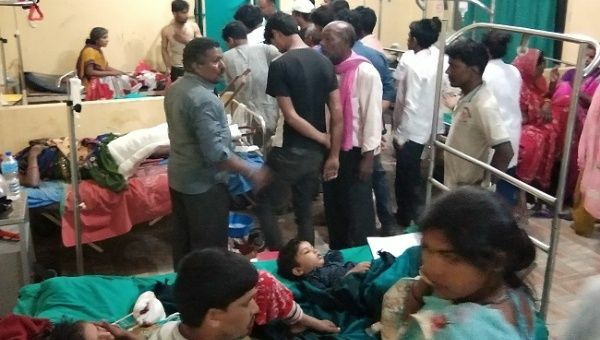 At least 25 dead and more than 400 injured as storm hits villages in a farming region south of capital Kathmandu. Nepal’s Prime Minister Khadga Prasad Oli said he received a report of 25 people killed and 400 injured. “The thunderstorm uprooted trees, electricity poles and telephone poles. Most casualties occurred after people were struck by them,” said Bhattarai. Thunderstorms normally hit the country in the spring between April and May, but experts say Sunday’s disaster was unusually severe. 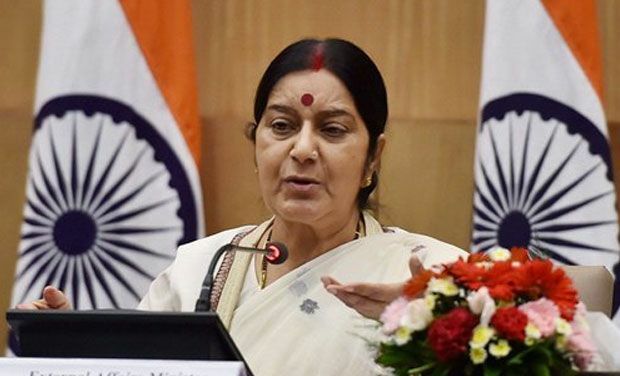 New Delhi, March 30 Nasheman News : An Indian man has been killed and his wife injured after they were stabbed by an immigrant near Munich in Germany, External Affairs Minister Sushma Swaraj tweeted on Saturday. She told the Indian mission in Munich to take care of the couple’s children. AFPIn Bangladesh, the death toll from the fire at a high-rise office building in the capital has risen to 25. A massive fire engulfed a 22-story building in Dhaka’s Banani area yesterday. Local media reported that 25 deaths have been confirmed and 76 people have been injured. Fire officials said the blaze erupted on the eighth floor of the building and engulfed the ninth, 10th and 11th floors. The blaze erupted on the eighth floor of the building and gradually went upward engulfing other floors. It is not clear yet what sparked the fire. Meanwhile, an eight-member probe committee has been formed to look into the tragic incident. Kabul, March 26 (Nasheman News) Over 92,600 Afghan refugees have returned from neighbouring countries Pakistan and Iran since January this year, the UN’s International Organization for Migration (IOM) reported on Tuesday. “(A total of) 92,698 Afghans returns from Iran and Pakistan since January 1,” said IOM in a statement.